Steve Martinez avoiding the dark side. Venice Beach got its name from developer Abbot Kinney, who hoped to create an American version of Venice, Italy. Shedding its past and former title of Rancho La Ballona in 1905, the new community had guidelines for building which included an architectural style inspired by the Venetian Renaissance. 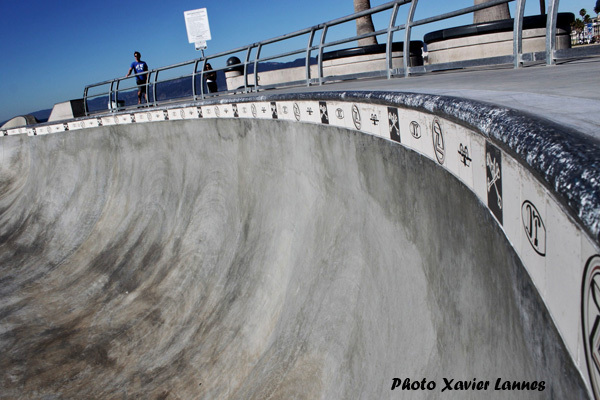 Two years ago, Venice got its firts world-class skatepark built on the sand and it has been declared the "Skateboarding Capital of the World". Especially since the Z-Boys and Dogtown were wandering not far from here. 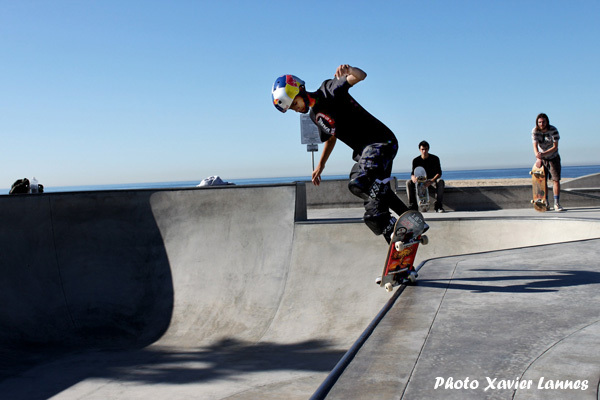 In december, the mild climate can accomodate hundreds of skaters. 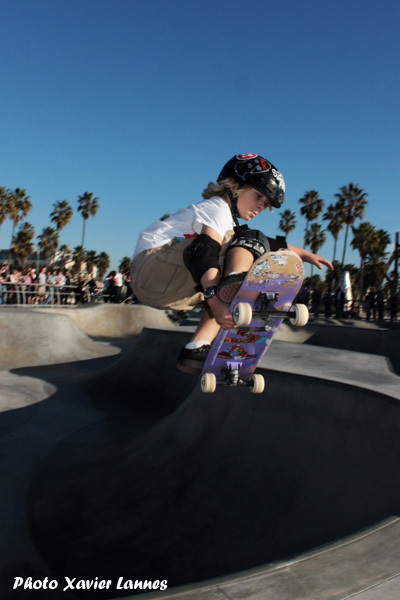 With that in mind, I went to Venice Skatepark on December 25th, and again on December 26th, I was expecting hordes of pro skaters, especially since all municipal skateparks around (The Cove, Etnies, Culver City, Belvedere, etc...) Would be closed for XMas day. But you see, in winter, the south slopes of the multiple bowls and snake run never see the sun and are always in the shade. Because of the skatepark proximity to the sea, the south sides are almost always humid, I mean wet. I know, a real bummer. The good days, between Noon and 2pm, the sun is hot enough to dry the walls. 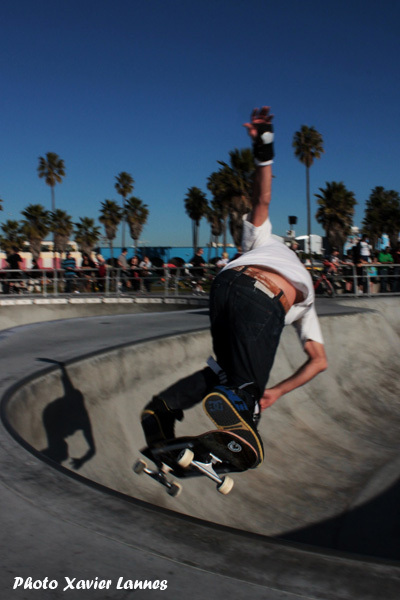 The locals know and even though I live 10mn from the beach, I'm not local enough to know every dirty secret of Venice Skatepark.